Being a client centric firm we are involved in manufacturing and leading supplying a comprehensive range of Wall Compound. These are made of high quality material by our highly skilled professionals to render maximum client satisfaction. Additionally, we offer our all products at economical prices. We manufacture compound walls which are done using natural stones to making Building Wall. These Compound Wall are available in different sizes and are used as in place of conventional bricks or stones used in the construction of houses and buildings. 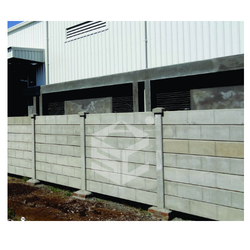 We manufacture compound walls which are done using natural stones to making Compound Folding Concrete Wall. These compound walls are available in different sizes and are used as in place of conventional bricks or stones used in the construction of houses and buildings. We manufacture compound walls which are done using natural stones to making Compound RCC Ready Made Concrete Wall. These compound walls are available in different sizes and are used as in place of conventional bricks or stones used in the construction of houses and buildings. 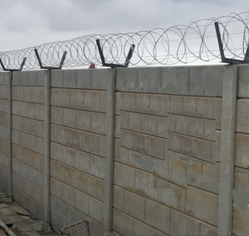 With vast experience and knowledge, we are involved in offering a premium quality range of Concrete Boundary Compound Wall. We manufacture these using fine quality material which we sourced from the trustworthy vendors of the market. These are highly demanded in market due to their perfect finish and accurate dimensions. Additionally, we also assure to deliver our products in a stipulated time frame. 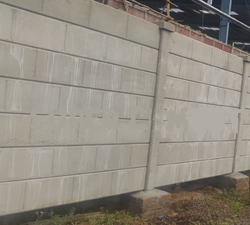 Being a client centric firm we are into manufacturing and supplying an extensive range of Concrete Wall Boundary. These are widely used for the various places and also enhance the look of the place where these are used. These are available in various sizes and designs as per the requirements of our esteemed clients. Additionally, we also assure timely delivery of our products. 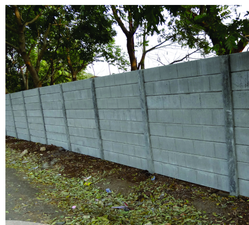 We are counted amongst the top companies involved in offering an extensive range of Concrete Boundary Wall. These are made using optimum quality raw material which we sourced from the trusted vendors of the market. These are highly reckoned among our clients due to their eye-catching looks and fine finishing. Moreover, it can be availed from us market leading prices. We manufacture compound walls which are done using natural stones to making Concrete Compound Wall. These compound walls are available in different sizes and are used as in place of conventional bricks or stones used in the construction of houses and buildings. 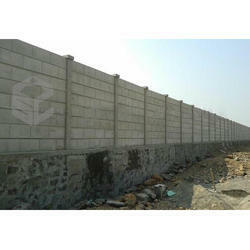 We manufacture compound walls which are done using natural stones to making Concrete Wall Compound. These compound walls are available in different sizes and are used as in place of conventional bricks or stones used in the construction of houses and buildings. We manufacture compound walls which are done using natural stones to making Concrete Folding Prestressed Wall. These compound walls are available in different sizes and are used as in place of conventional bricks or stones used in construction of houses and buildings. 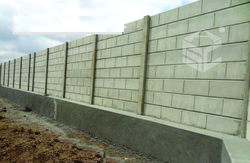 We manufacture compound walls which are done using natural stones to making the Concrete Wall. These compound walls are available in different sizes and are used as in place of conventional bricks or stones used in the construction of houses and buildings. we manufacture compound walls which are done using natural stones to making Folding Compound Wall. These compound walls are available in different sizes and are used as in place of conventional bricks or stones used in the construction of houses and buildings. We manufacture compound walls which are done using natural stones to making Folding Ready Made Compound Wall. These Compound Wall are available in different sizes and are used as in place of conventional bricks or stones used in the construction of houses and buildings. We manufacture compound walls which are done using natural stones to making Folding Ready Made Compound Wall. These compound walls are available in different sizes and are used as in place of conventional bricks or stones used in the construction of houses and buildings. We manufacture compound walls which are done using natural stones to making Folding Ready Made Prestressed Wall. These compound walls are available in different sizes and are used as in place of conventional bricks or stones used in the construction of houses and buildings. We manufacture compound walls which are done using natural stones to making Folding Ready Made Wall. These Compound Wall are available in different sizes and are used as in place of conventional bricks or stones used in the construction of houses and buildings. 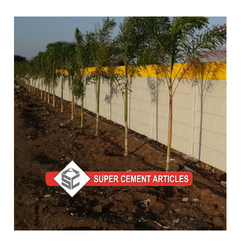 With vast experience and knowledge, we are involved in offering a premium quality range of RCC Concrete Boundary Compound Wall. These are available in various designs and sizes as per the requirements of our customers. these are highly appreciated among our clients because these require less maintenance and can be easily installed. In addition, we also assure safe and timely delivery of our products. 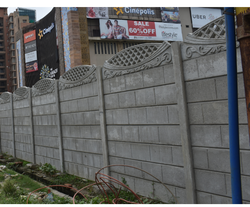 To furnish the diverse requirements of our clients we are involved in offering a wide gamut of RCC Concrete Boundary Compound Wall. Our products are manufactured by our highly skilled professionals using the best quality material to render maximum client satisfaction. These are well known due to their long life and rigid construction. Moreover, these are widely used in compounds. 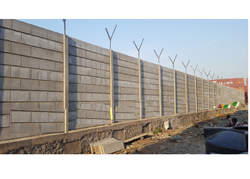 Keeping in mind diverse requirements of our clients we are involved in offering a wide range of RCC Concrete Boundary Wall. These can be also customized in various designs and sizes as per the specifications are given by our clients. These are produced using fine quality raw material which we procured from the reliable and trusted vendors of the market. Moreover, these are available in market at very feasible prices. 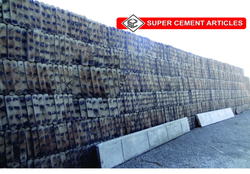 We manufacture compound walls which are done using natural stones to making RCC Concrete Folding Prestressed Wall. These compound walls are available in different sizes and are used as in place of conventional bricks or stones used in the construction of houses and buildings. 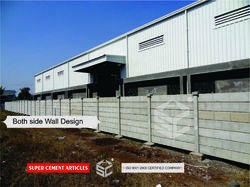 We manufacture compound walls which are done using natural stones to making RCC Concrete Folding Wall. These compound walls are available in different sizes and are used as in place of conventional bricks or stones used in the construction of houses and buildings. 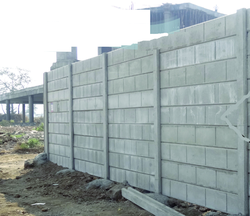 We manufacture compound walls which are done using natural stones to making RCC Concrete Wall. These compound walls are available in different sizes and are used as in place of conventional bricks or stones used in the construction of houses and buildings. 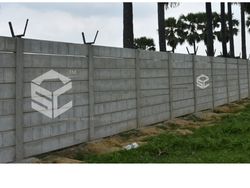 We manufacture compound walls which are done using natural stones to making RCC Folding Compound Wall. These Compound Wall are available in different sizes and are used as in place of conventional bricks or stones used in the construction of houses and buildings. 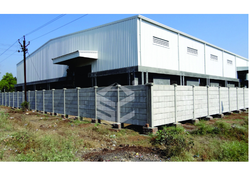 We manufacture compound walls which are done using natural stones to making RCC Folding Ready Made Compound Wall. These compound walls are available in different sizes and are used as in place of conventional bricks or stones used in the construction of houses and buildings. We manufacture compound walls which are done using natural stones to making RCC Folding Ready Made Wall. These Compound Wall are available in different sizes and are used as in place of conventional bricks or stones used in the construction of houses and buildings. 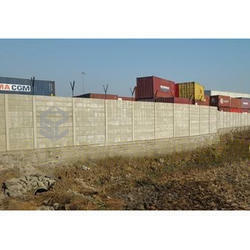 We manufacture compound walls which are done using natural stones to making RCC Godown Wall. These Compound Wall are available in different sizes and are used as in place of conventional bricks or stones used in the construction of houses and buildings. 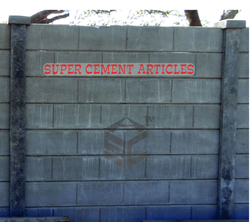 We manufacture compound walls which are done using natural stones to making RCC Ready Made Concrete Compound Wall. These compound walls are available in different sizes and are used as in place of conventional bricks or stones used in the construction of houses and buildings. 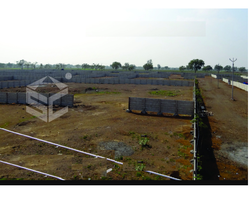 We manufacture compound walls which are done using natural stones to making Ready Made Concrete Compound Wall. These compound walls are available in different sizes and are used as in place of conventional bricks or stones used in the construction of houses and buildings. We manufacture compound walls which are done using natural stones to making Ready Made Concrete Prestressed Wall. These compound walls are available in different sizes and are used as in place of conventional bricks or stones used in the construction of houses and buildings. We manufacture compound walls which are done using natural stones to making Ready Made Concrete Wall. These compound walls are available in different sizes and are used as in place of conventional bricks or stones used in the construction of houses and buildings. 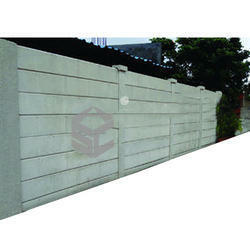 We manufacture compound walls which are done using natural stones to making Security Wall. These Compound Wall are available in different sizes and are used as in place of conventional bricks or stones used in the construction of houses and buildings. 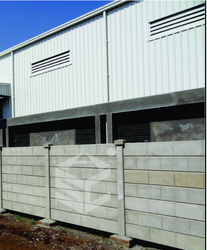 We manufacture compound walls which are done using natural stones to making RCC Concrete Folding Wall Precast. These Compound Wall are available in different sizes and are used as in place of conventional bricks or stones used in construction of houses and buildings. 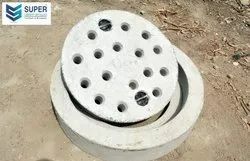 We offer RCC Circular Manhole Cover that is available in square, rectangular and circular shapes in Light, Medium, Heavy Duty and Extra Heavy Duty. These covers and frames are lighter than cast iron covers and hence easy to handle. These manhole covers are provided with proper reinforcement. These covers can also be provided with mild steel rims to protect edges from damage. The pre-cast concrete manhole covers and frames are made according to IS 12592 – 2002. Light Duty: Capacity 2.5 MT Rectangular, Square, Circular. Used for residential and institution for light motor vehicles. Medium Duty: Capacity 10 MT Rectangular, and Circular. Used for inside lanes, Footpaths, parking areas, for medium duty vehicles. Heavy Duty: Capacity 20 MT rectangular, square, circular. Used by commercial areas, city roads for trucks, buses. Extra Heavy Duty: Capacity 35 MT rectangular, square and circular. Used for commercial, industrial, warehouses, etc. Carrying heavy trucks trailers, medium and heavy-duty perforated/grating: Capacity 20 MT rectangular, square, circular. Used by commercial areas, city roads for trucks, buses. With vast experience and knowledge, we are into manufacturing and supplying a wide array of RCC Wall Compound. These are developed and designed from superior grade raw materials and advanced technology to meet the diverse requirements of our clients. Offered products are well known due to their accurate dimensions and easy installation. Additionally, we also assure safe and timely delivery of our products. We manufacture compound walls which are done using natural stones to making Concrete Prestressed Wall. These compound walls are available in different sizes and are used as in place of conventional bricks or stones used in the construction of houses and buildings. 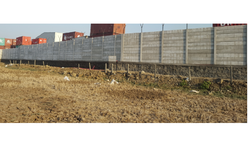 We manufacture compound walls which are done using natural stones to making RCC Folding Ready Made Prestressed Wall. These Compound Wall are available in different sizes and are used as in place of conventional bricks or stones used in the construction of houses and buildings. 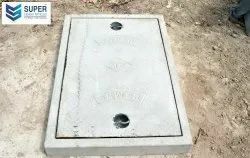 We offer RCC Rectangular Manhole Cover that is available in square, rectangular and circular shapes in Light, Medium, Heavy Duty and Extra Heavy Duty. These covers and frames are lighter than cast iron covers and hence easy to handle. These manhole covers are provided with proper reinforcement. These covers can also be provided with mild steel rims to protect edges from damage. The pre-cast concrete manhole covers and frames are made according to IS 12592 – 2002. Carrying heavy trucks trailers, medium and heavy-duty perforated / grating: Capacity 20 MT rectangular, square, circular. Used by commercial areas, city roads for trucks, buses. 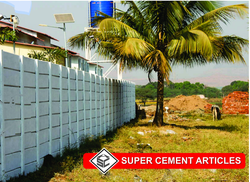 We manufacture compound walls which are done using natural stones to making RCC Ready Made Concrete Prestressed Wall. These compound walls are available in different sizes and are used as in place of conventional bricks or stones used in the construction of houses and buildings. Looking for Wall Compound ?